UCLA shortstop Kevin Kramer was picked No. 62 overall in the MLB Draft on Monday night, becoming the second Bruin selected in 2015. Kramer was picked by the Pittsburgh Pirates in the second round, 46 spots after right-handed pitcher James Kaprielian went to the New York Yankees. The infielder had missed the 2014 season after undergoing surgery on his right shoulder, but was a key component of the team in 2015. As a redshirt junior, he ranked second on the team in batting average (.323) and first in walks (36). Last month, Kramer estimated that his shoulder was at about 85 or 90 percent of the way to full health, but expected to be completely recovered sometime this summer. The Pirates clearly didn’t have serious reservations about Kramer’s torn labrum, making him the highest-drafted UCLA position player since Jeff Gelalich went 57th overall in 2012. Even UCLA’s most accomplished baseball coach can break new ground. On Wednesday, John Savage was named Pac-12 Coach of the Year for the first time. 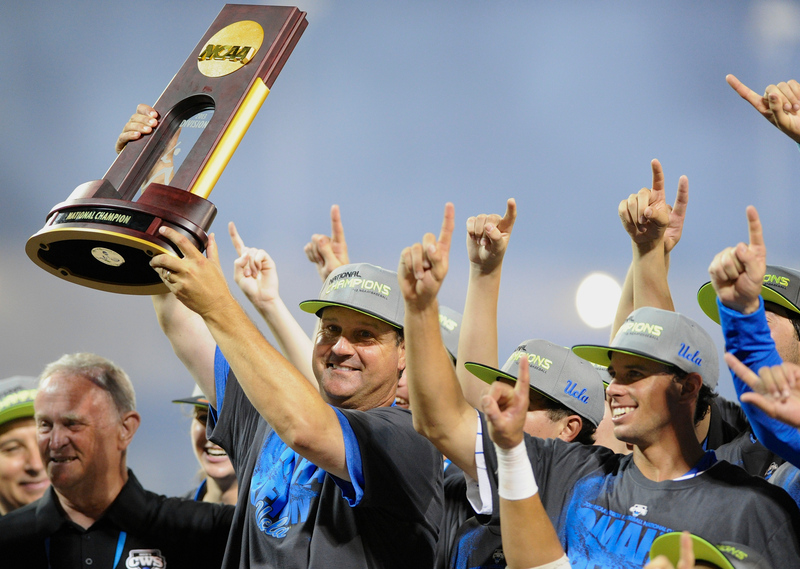 Savage had been named national coach of the year by multiple publications in 2013, following the Bruins’ first and only College World Series title. However, the conference’s top honor had eluded him until his 11th season in Westwood, one during which UCLA set a school record with 22 wins in league play. The Bruins, who lead all Division I teams with a 2.16 ERA, earned the No. 1 overall seed in the NCAA tournament on Monday and will host a regional this weekend. Their first game is against Cal State Bakersfield at 8 p.m. at Jackie Robinson Stadium.